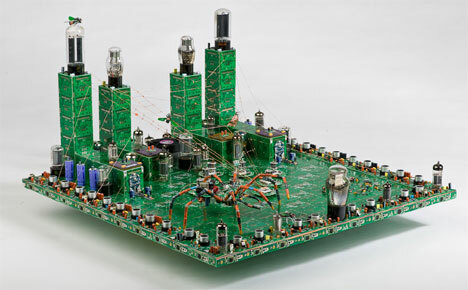 It’s hard to ignore the inherent beauty in circuit boards. These essential bits of technology were designed for performance, not aesthetics, but they have a certain appeal that makes them look a lot like art. Artist (and electronics repairman) Steven Rodrig saw not only the beauty of printed circuit boards (PCBs), but the terrible wastefulness in throwing them away. 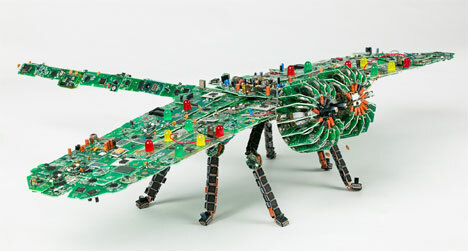 Disturbed by the amount of tech items being tossed into landfills, Rodrig decided to rescue those with PCBs and turn them into lovely, unique works of art. He sculpts everything from insects to a painstakingly detailed toilet using the instantly recognizable green boards with their colorful attachments. 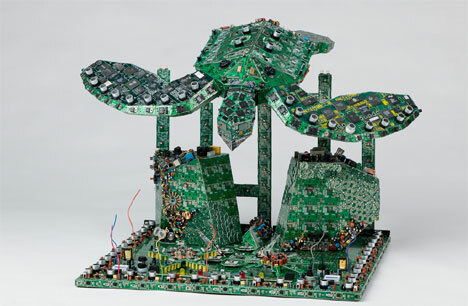 It would be simple to appreciate Rodrig’s sculptures only for their beauty and ingenuity alone, but they are even more impressive when you take into account the number of discarded circuit boards he saves from the landfill every year. 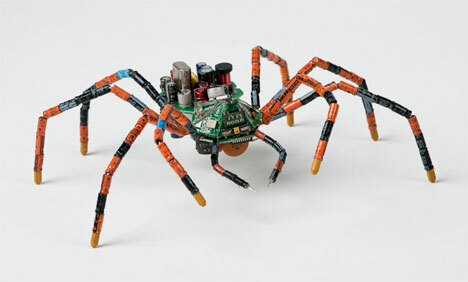 Rodrig’s work, known as PCB Creations, cultivates a type of artificial technological life that is much more than the sum of its humble parts. 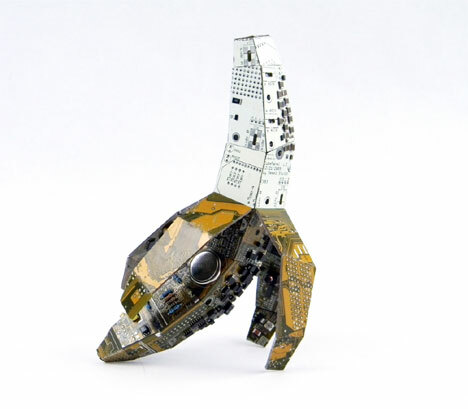 The artist uses the features of the PCBs themselves to enhance the shapes and finished appearance of his sculptures. These odes to expired technology have been praised by technology lovers and environmentalists alike, and now even the world of fine art is getting on board. Rodrig’s sculptures are in the permanent online collection of Manhattan Arts International and were recently featured in an international exhibition. See more in Art of Tech or under Technology. November, 2011.